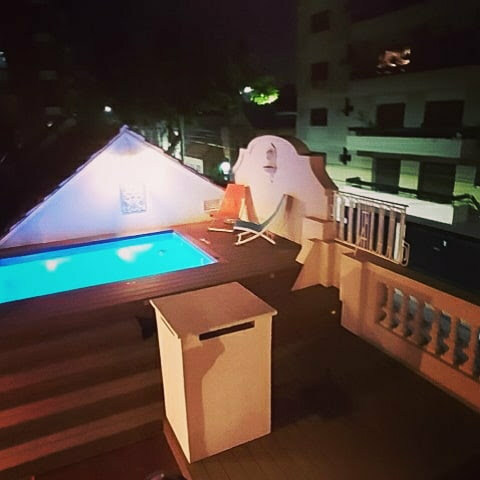 This site is about Casas Chorizo and how we converted our outside space of this typical style of houses to a tranquil and entertaining space with Argentinean parrilla, swimming pool, open air cinema, small basketball area and play space for our family and friends. 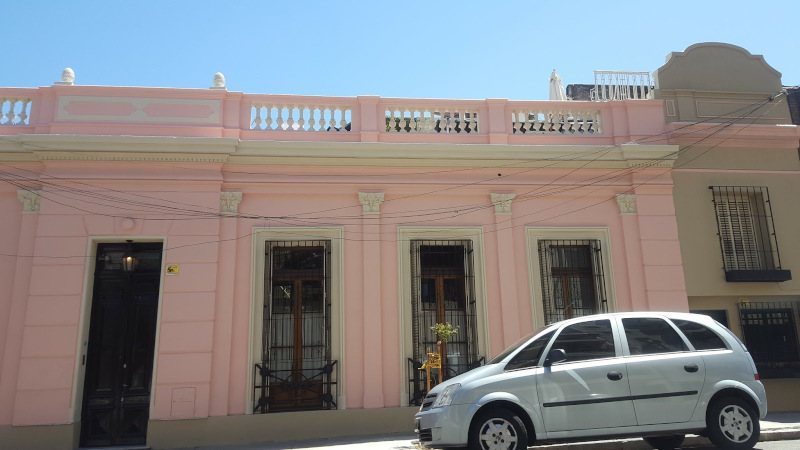 We live in a typical Casa Chorizo in the center of Buenos Aires in Argentina. The casas chorizo were built late 19th and early 20th century and typically built to house 3 generations of family, grandparents, parents and children and in some cases even the uncles and aunts. The house´s dimensions typically measure 8,66 meters by its short side, and its long side varies between 26 meters 50 meters. These measures are based on how historically the square city blocks (100 by 100 meters) were divided in 8.66 meter wide rectangular slices to get higher occupancy rates for its superficie. The rooms in these houses circumvent an internal patio that typically measures between 8 to 16 by 4.5 meters. Additionally, for the surface these houses occupy, they are ideal to leverage the roof as a terrace and use it to extend the outdoor space. 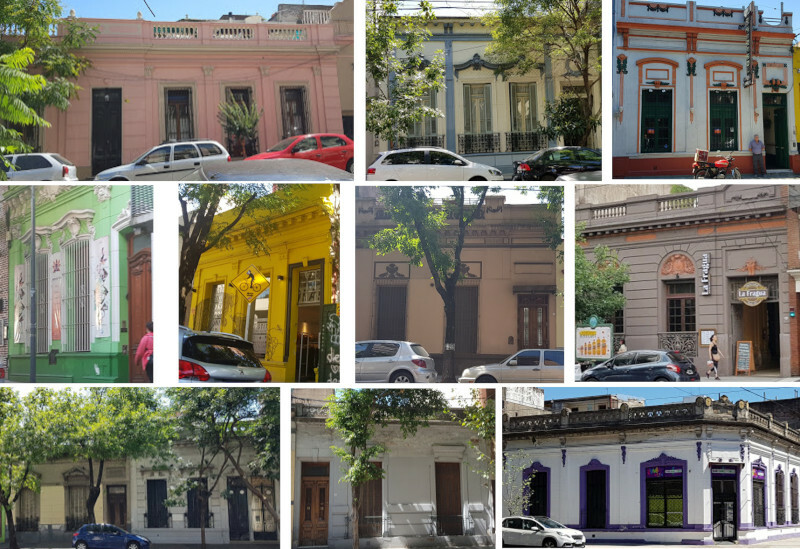 Other than the ample space that these houses provide, the uniqueness is also in its colorful facades, the fronts of these houses that each have its particular style. You read more about that in the Fachadas Casas Chorizo post. 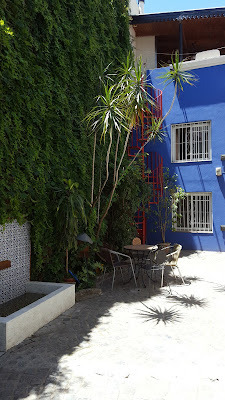 A small area to play basketball in the patio among other things. It took us a lot of time and effort to find and execute the ideas to get a "casa chorizo reciclada" and wanted to share it on this site, so hopefully it will inspire more people to enjoy their house more. We did not do this on our own. Some parts were already in place when we started. We had some very talented architects (Rosario Fernandez Moujan y Maray Apellaniz) working with us, and then we contracted a company to help get the ideas to reality. Please let us know if you have any question or feedback on our contact page.